Amazon on Friday announced the US $14b acquisition of Wholefoods in the US, which has correctly been understood by the Australian market as a reason for the share prices of Coles and Woolworths to fall – just like competitors Walmart and Walgreen did in the US. Why should Australian retail investors care? Because the purchase of Wholefoods signals a significant new push into grocery retailing, where Amazon increasingly has been a player (its Prime subscribers jumped 30% to 80m last year) but cannot yet claim victory. Wholefoods is an organic/fresh food retailer, traditionally a category in which shoppers are finicky, preferring to see and touch the produce before they buy, which they will mostly do in the store itself. All other grocery items do not require this kind individual shopper attention. 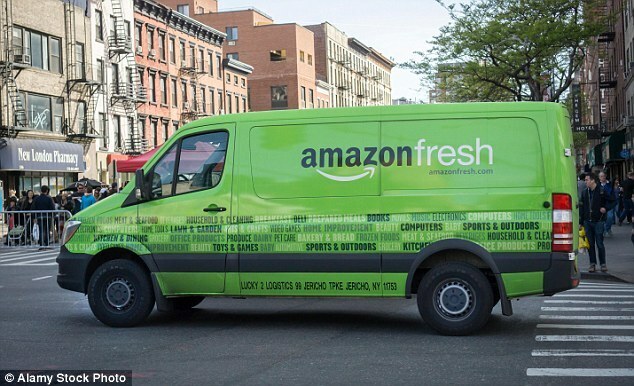 Bezos’ thinking is that if Amazon can get the organic/fresh offering correct, most of the rest of the customer's shopping will just follow on the basis of price/delivery/convenience – it’s much more commoditised, and so is up for grabs once the hard part, fresh, is solved. The rest of the discussion, about cashier-less check-outs and the move into physical stores as local distribution points for merchandise bought on-line is also true, but of course isn’t the main and certainly not the only reason the Wholefoods purchase is such a threat.Taken all together it’s the reason that Australian retail share prices are down. More broadly, the problem for the big Australian retailers is that Amazon’s retail model doesn’t just focus on groceries – it uses a whole of wallet approach to attack every part of the retail chain, leaving the big supermarkets scrambling for a competitive response. It does this by building feeder businesses which bring in new customers in one area and then cross selling them stuff in another. Bezos refers to it as his ‘flywheel’. For example, the company is also building a large presence in a Netflix-like service called Amazon Video. This video offering may be coupled with a Prime membership, meaning that Prime customers will also get a tv streaming service at a discounted rate. Other parts of the ‘flywheel’ are the use of the in-home voice assistant, Echo, which when so commanded by a Prime customer will cause milk and bread to arrive at the front door. Or the Amazon Go stores, which are mostly there to learn about you and your buying. All of this creates more pressure for competitors, who are already under pressure because of an ageing retail mall model. Amazon understood that by siting its distribution centres outside traditional shopping districts, the company was able to reduce a significant cost – its rent – and then share the benefits of the lower costs with couriers, customers and shareholders. This is the problem for Woolworths and Coles. If it were just about competing with them on their own terms in malls, Amazon would fail since it would never get the same locations and the same space. In Australia Aldi has had some success in second tier locations, but hasn’t really hit scale because of the lack of range. Costco has done OK as a novelty, but it’s really just a warehouse for oddments and relies on people driving themselves across town for a bargain. By contrast, Amazon has 369m SKU (stock keeping units) which it will deliver. There is no comfort to be had in the majors’ competitive response. For example, Woolworths trumpets that it focused on fulfilling on-line demand, estimated to be growing at 25% pa, from its “dark stores’ ie distribution centres that don’t offer retail customer access. If thought through, it is apparent that this is simply cannibalising existing sales, which if it is to compete with Amazon will require discounting. Lost and discounted sales on a fixed cost base inflated by mall rents will hurt profitability big time. The ‘cannibalise yourself’ strategy is now shaking out as one of the older tricks which catch companies out. They see how they must disrupt their business models through lower prices or a better offering, but in doing so fail to adequately address the existing high cost base (in this case the stores). The resulting rear guard action is the stuff of corporate boardroom nightmares. One problem for Amazon...people like me. I won't be using/encouraging their growth no matter what price. Generally correct in all areas. Consider the problem in Australian cities of increased residential units approval which place 10 times the amount of vehicles in a street than previously, hence traffic chaos in most urban communities . What follows is the desire to buy online and only shop within walking distance and of course later deliveries by robotic methods. This also translates into much , much higher online advertising revenue . Extrapolate this to most areas and the shopping centres will either become amusement centres or ghost towns which is already evident with Westfield. The downside of course with digital technology is it only takes one or two smart lateral thinking people to decimate the big companies by identifying totally out of "left field" new methods and Amazon and Google will be history. 2. Assuming Amazon is successful in this completely new venture for them, how will this translate to Australia? Start bricks and mortar shops from scratch and take years, ie. Aldi, or make a big purchase? Metcash has independants so maybe buy some Woolies shares?